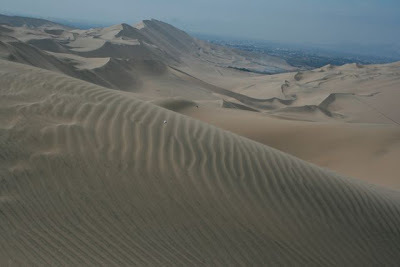 After a week in Lima, Matt and I were more than a little excited to get out of the big city and see what else Peru has to offer. And we have been relishing in its offerings since then. 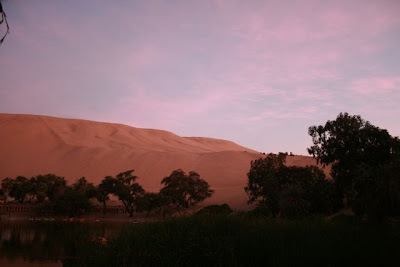 On Friday, we embarked on a journey to Huacachina, which is a little oasis in the midst of the largest sand dunes in South America. It was quite breathtaking. 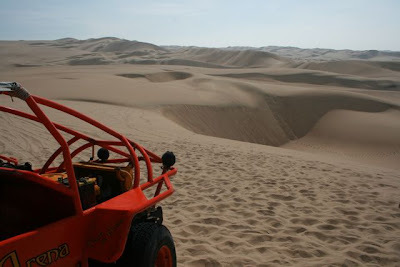 We were able to do some off-roading on the dunes in a buggy and try a little sandboarding while we were there. 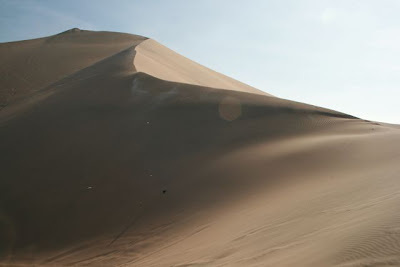 According to Matt, riding in a dune buggy off sand dune cliffs and catching air wasn't the slightest bit scary, but my version was a little different. 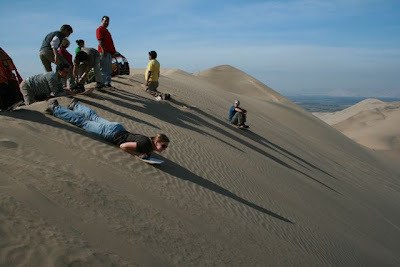 We also have slightly different versions of the best use for a sandboard as well. Brooke: I tried the whole standing up thing, only to have confirmed what I already know about myself: I am a sledder at heart. 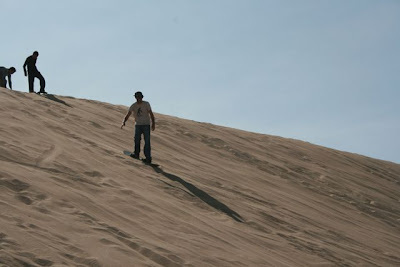 sandboardng well i guess it's better than bandini mountain. sounds like you having fun. Did Mom miss this one??? 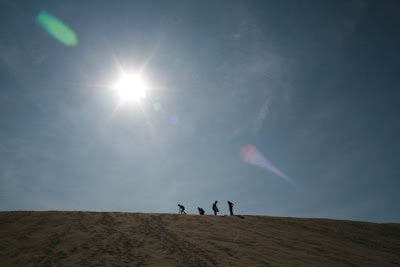 Amazing photos of the dunes. 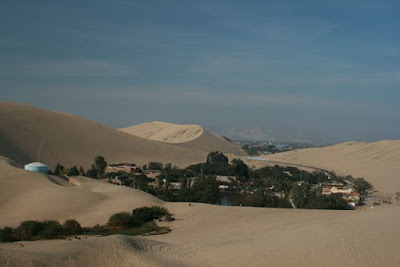 I love the pic of the town surrounded by dunes.